Local neighborhood coffee bars and farm-to-table restaurants offer places for people to gather, while some of the most distinguished and well-established bars in the city further contribute to a sense of belonging. This is a neighborhood rich in history with many charming 19th century brownstones and characterful carriage houses, a world of undulating ivy and private gardens. Number 34 Gramercy Park East is thought to be the oldest surviving co-op in the city and was also the first residential building to boast an elevator. Amid all this old-world style are modern Gramercy Park apartments with a series of luxurious amenities. Many of the townhouses also house single-story family residences along with duplexes to reflect many tastes and budgets. The word Gramercy comes from the Dutch words 'krom moerasje' meaning 'little-crooked swamp' because that is initially what the area was. In 1831 Samuel B Ruggles drained that swamp and built Gramercy Park in its place. It immediately attracted the well-to-do of 19th century New York. From the 1840's onward, Roman and Greek revival buildings began to appear and by the mid 20th century the city's Landmarks Preservation Commission created the Gramercy Park Historic District to help keep the area's character unaltered. One of only two private parks in the city, Gramercy is open to the public one day a year, on Christmas Eve. Residents who live in the buildings surrounding the park can get their own personal key for an annual fee, as the locks are changed each year. In the middle of the park is a statue of Edwin Booth, a famous actor of the 19th century who was also the brother of John Wilkes Booth. The National Arts Club has called Gramercy home since 1906 and has several distinguished ex-members including three US Presidents. Though it's a members only club, it does sometimes hold public events like lectures and exhibitions. Nearby is The Players Club, which is the oldest private club in the city and once boasted Mark Twain as a member. 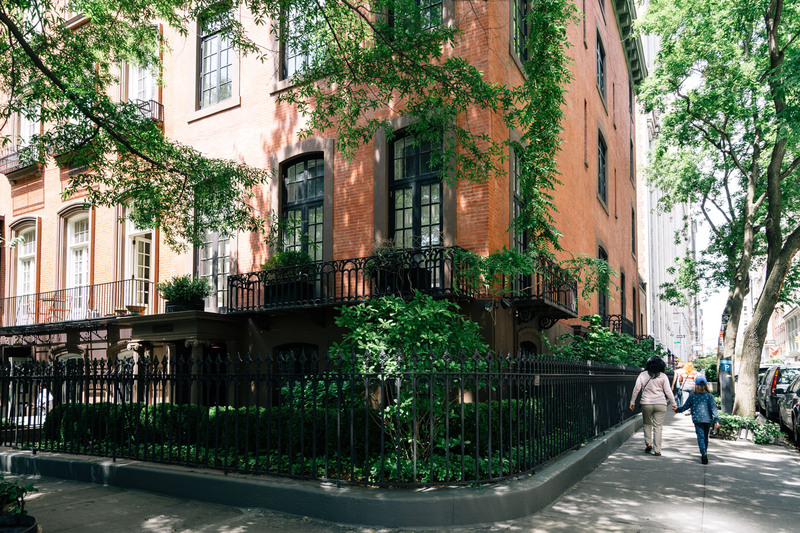 Like the National Arts Club, membership gives you the additional bonus of having access to Gramercy Park. Gramercy Park Hotel first opened its doors in 1924 and played host to Humphrey Bogart, Babe Ruth, The Beatles, and JFK. On its walls are priceless works of art by the likes of Jean-Michel Basquiat and Andy Warhol. If you come for a drink at the Rose Bar, you can enjoy both the art and cocktails like a ginger fig martini. 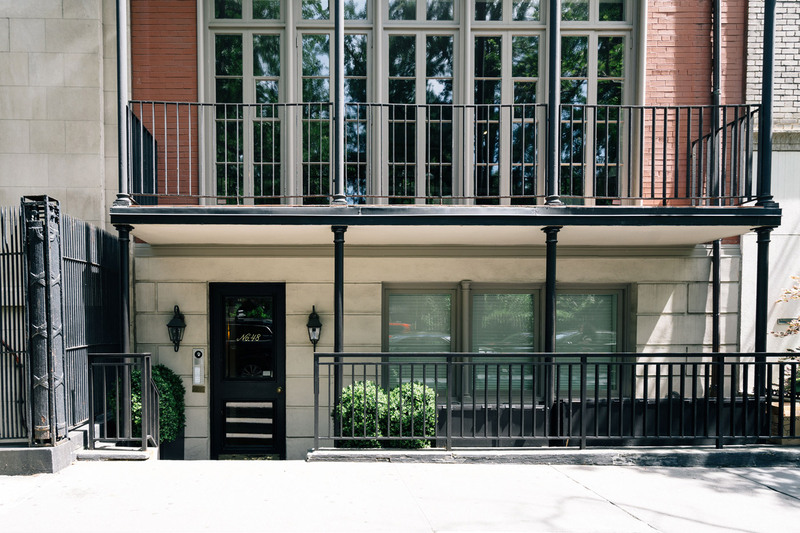 Since the mid-nineties, Irving Farm Coffee has been offering coffee to the residents of Gramercy inside this quaint brownstone. They roast their beans in upstate New York. 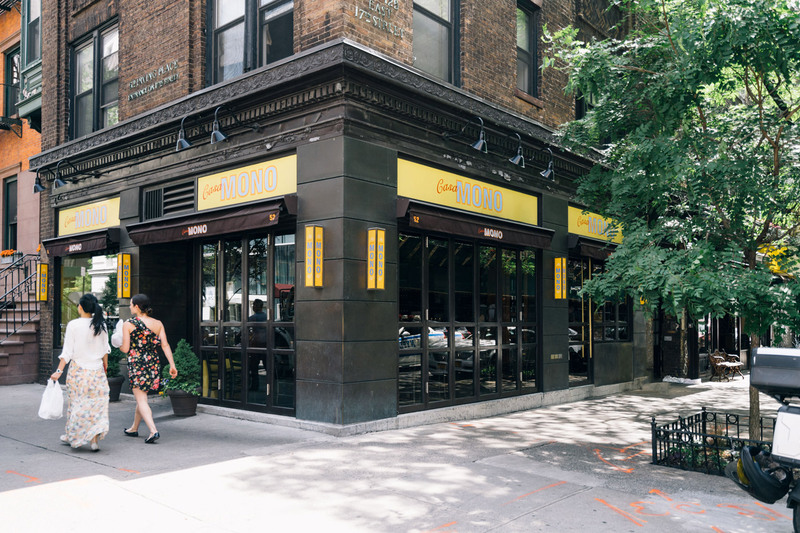 Though not a top of mind choice for the shopaholic, Gramercy does have a few neighborhood gems. Vintage Thrift Shop sells some designer and vintage clothing along with unique housewares and accessories, while City Opera Thrift Store has been recommended by Vogue magazine as the best in the city. For those after home furnishings, Gramercy Vintage Furniture stocks pieces that date back to the 19th century and has a regularly updated inventory. Whether it's vintage rugs or sideboards you're after, it could be here that you'll find it. A short walk out of the neighborhood is the Union Square Green Market which opens on Mondays, Wednesdays, Fridays, and Saturdays and offers a variety of fresh farm vegetables, flowers, jams and more. As its name suggests, Italian Wine Merchants specializes in high-end Italian wines from all over the country. This boutique space also has wine tastings and even offers a wine tasting kit for you to take home. After a little wine, Bedford Cheese Shop is the perfect place to head to and has a wide range of artisanal cheeses, brought from local and international food producers. Based in the Gramercy Park Hotel, Maialino offers excellent Roman-Italian cuisine in an elegant setting. Michelin starred Casa Mono serves upscale Spanish food with an expansive wine list to accompany it. Located next door is Bar Jamon, a cozy tapas bar that's an excellent choice for a casual after hours get together. BLT Prime is an omnivore's delight with a fine selection of top-of-the-line steaks served in a stylish, modern environment. A pioneer in the farm-to-table movement, Friend of a Farmer is a family-owned place that offers American country cooking in a warm, farmhouse-style setting. Similarly, Midwinter Kitchen has its own farm and uses the produce to help create simple, stylish American cuisine. Finally, there is The Halal Guys, a restaurant that started life as a food cart selling gyros and Middle Eastern food and now also has a brick and mortar location. Whatever you're in the mood for, Gramercy can provide it. Built-in 1937 in the Streamline Moderne style, The Gramercy Theatre is one of the premier music venues in the city, offering a chance to see acts in an intimate space. While on the edge of Union Square is Irving Plaza, a ballroom style music venue described as one of the 50 best concert venues in America by Complex City Guide. The Globe is an old-school Irish pub that opened in 1886. That's nothing compared to Pete's Tavern which claims to be the oldest continuously operating pub in the city. It was initially opened in 1864 and was once a regular spot of famed short story writer O Henry, who was rumored to have written there. Basement venue, The Stand Comedy Club, offers you a good laugh while an upstairs restaurant serves delicious food and cocktails. The comedy continues at The People's Improv Theater, which gives you a chance to catch some of the best improvisational comedy in town and become an improv comedian yourself. The theater runs a series of classes in performance and writing that could turn a night out into a new career. Finally, SPiN New York serves up a more active evening. As well as having a full bar, dining and live music on weekends, it has no less than 17 Ping-Pong tables for you to show your skills on.